This kind of reminds me of when my family goes to the beach... I build "doomed cities" close to the water and try to see how long I can keep it up. How right you are! The most pleasant things to do at the beach are building sand castles and drawing on the wet sand, but they always get washed away by the sea. 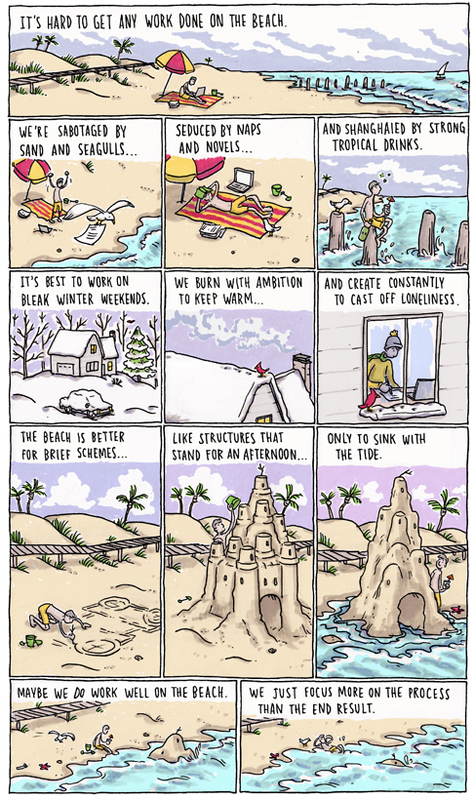 The writer's life and hard times beautifully encapsulated. You've encapsulated the best things about both seasons. Nice.